We have been having a blast playing with these Baby Gym Board Books* from Timberdoodle. They are a fun way to bond with Baby Sister and the perfect way to get my 3 year old son to play with his little sister in a safe, yet exciting way. 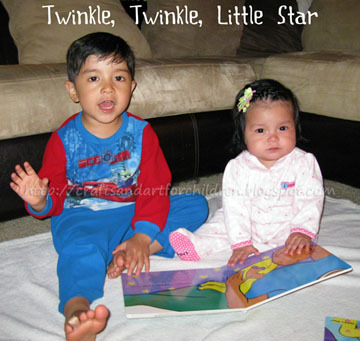 The Baby Gym Board Books* feature short songs, movements, and activities. From tickling to bouncing to swaying, Baby Sister is loving all of it! Calm & Soothe – This one is my son’s favorite. It’s so cute to listen to him singing songs like Hush Little Baby to her before bedtime. The motions/movements are simple enough for him to do. 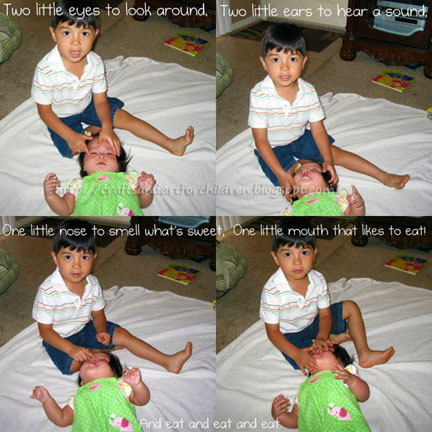 Touch & Tickle – Baby Sister breaks out into a big laugh everytime it gets to the tickle part. Of course Big Brother loves to tickle her and thinks it’s the funniest thing in the world! Wiggle & Move – This one is like a baby exercise book. You do little arm and leg motions to the songs. Bounce & Jiggle – I love watching my daughter’s face light up with a huge smile as I bounce her to the song. This one is definitely her favorite! 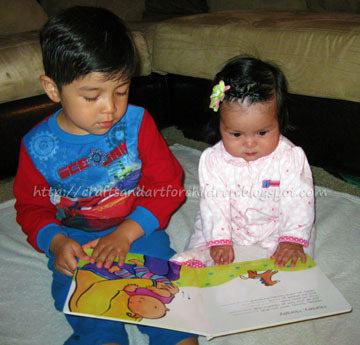 My son is too young to do some of the bouncing activities with her, instead he enjoys reading the book to her and telling her about the pictures. 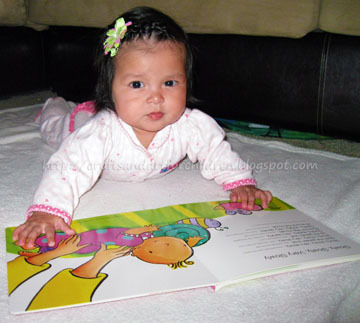 The pictures are nice & bright-colored, holding my daughter’s interest for a long time. Such a neat way for her to learn! I would definitely recommend these books to anyone with a baby. *As a member of Timberdoodle’s Blogger Review Team, I received a free copy of this book in exchange for an honest and unbiased review. I love the Timberdoodle website. We have several of their items and my kids enjoy them.